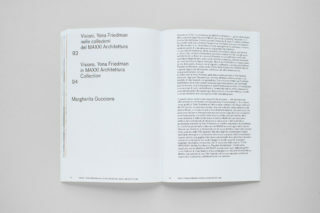 The catalog About Yona Friedman. 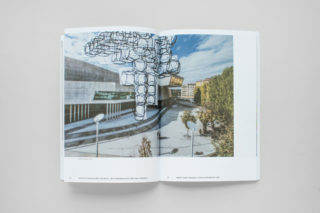 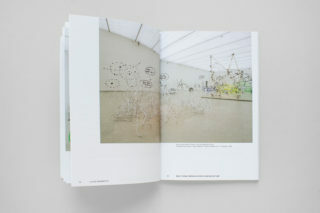 People’s Architecture was published to coincide with the exhibition Yona Friedman. 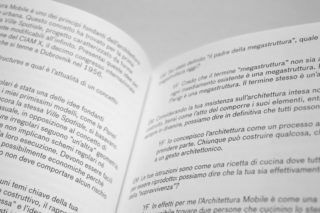 Mobile Architecture, People’s Architecture hosted from June 23rd to October 29th 2017 at MAXXI in Rome in collaboration with the Power Station of Art in Shanghai. 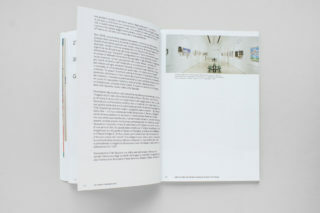 While this publication of course “accompanied” the exhibition in a chronological sense, it was also intended to accompany visitors to the museum in a quite literal, physical way, too; as it guided them through the exhibition’s itinerary. 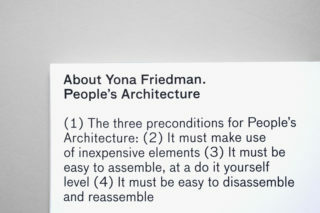 Yona Friedman is a critical and passionate avant-garde architect known for transforming elementary materials into mobile structures with the participation of the people who will live in or use them. 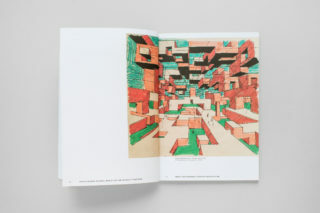 Effectively, then, Friedman’s desire is that occupants become builders of the “Irregular Structures” of their own ideal world. 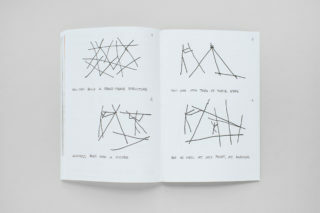 Friedman conceived of “L’Architecture Mobile” in the 1950s, focusing on the important role that architectural education and freedom play in the creative process. 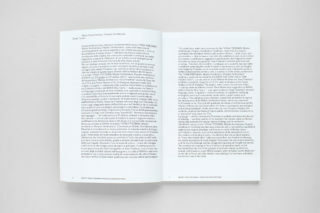 His manifesto entertains the utopian idea that the only people qualified to design an appropriate habitat for a building’s occupants are those very occupants themselves. 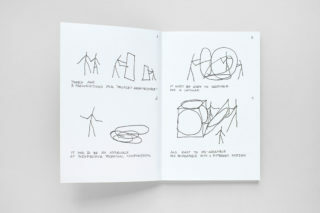 Friedman’s “mobile architecture” seeks to give people just such an opportunity, providing them with easy to follow instructions for building their own homes. 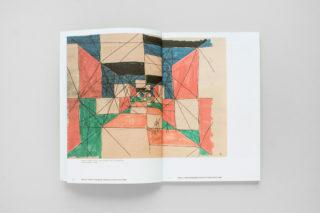 He employs a primitive, universal visual language, juxtaposing these instructions with stylized freehand drawings: offering us the possibility to complete the architectural process ourselves through our own spontaneous experimentation. 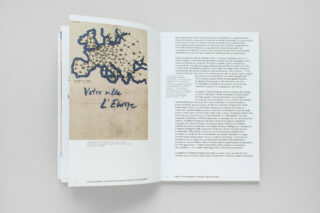 Although his designs are often somewhat eccentric and utopian, he speaks of simplicity and accessibility, and his projects are intended to meet the most primordial of human needs. 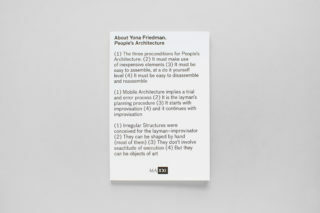 Indeed, while Friedman is an architect, it is not architecture, but always human beings, who take center stage in his work. 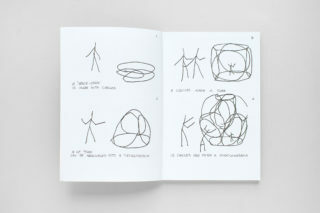 “(1) The three preconditions for People’s Architecture: (2) It must make use of inexpensive elements (3) It must be easy to assemble, at a do it yourself level (4) It must be easy to disassemble and reassemble (1) Mobile Architecture implies a trial and error process (2) It is the layman’s planning procedure (3) It starts with improvisation (4) and it continues with improvisation (1) Irregular Structures were conceived for the layman–improvisator (2) They can be shaped by hand (most of them) (3) They don’t involve exactitude of execution (4) But they can be objects of art”. 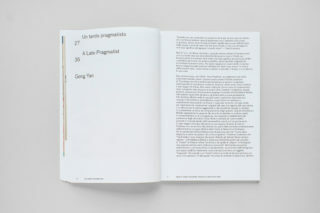 Taking the above preconditions as our starting point, we opted to develop the publication as a simple DIY-style project: designing the catalog with a lo-fi, self-published feel, save for the positioning of all elements in a rigid grid format. 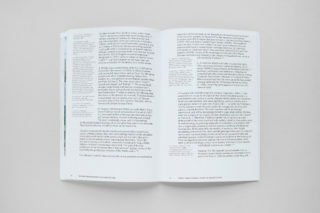 Additionally, we tried express the feeling of spontaneous creative activity by designing footnotes that are like connecting joints grafted onto the grid system. 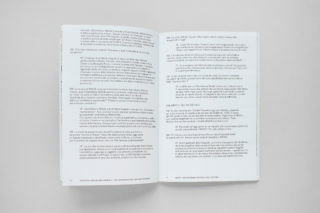 The purpose of this was to create the maximum degree of tension between the main bodies of text and their footnotes. 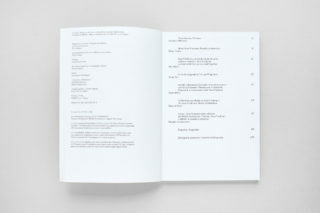 The margins of the notes are narrower towards the top, and this visual device serves to create the impression of a link between prefabricated elements and collective grassroots craftsmanship. 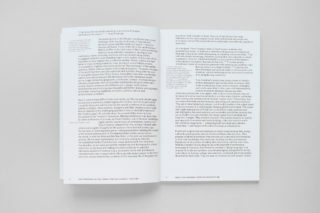 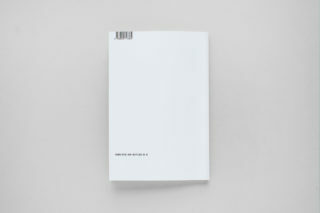 The book was designed almost entirely in black and white. 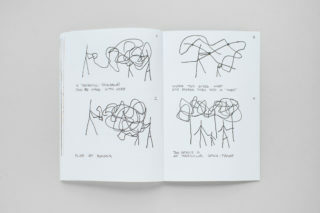 The only exception being Friedman’s hand-drawn images, which were mostly featured as double-page spreads. 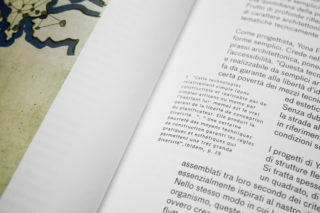 We chose a grotesque typeface as the main font, maintaining a consistent weight and size of type throughout the book. 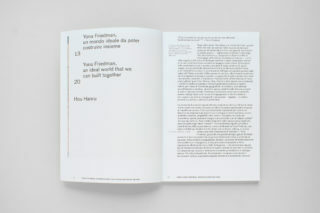 We then combined this with a second typeface which was used only for footnotes and captions.